Picture says it all. We were driving along a French main road somewhere in the North of France (caravan holiday as was the habit back then) when my mum shouted out to stop. 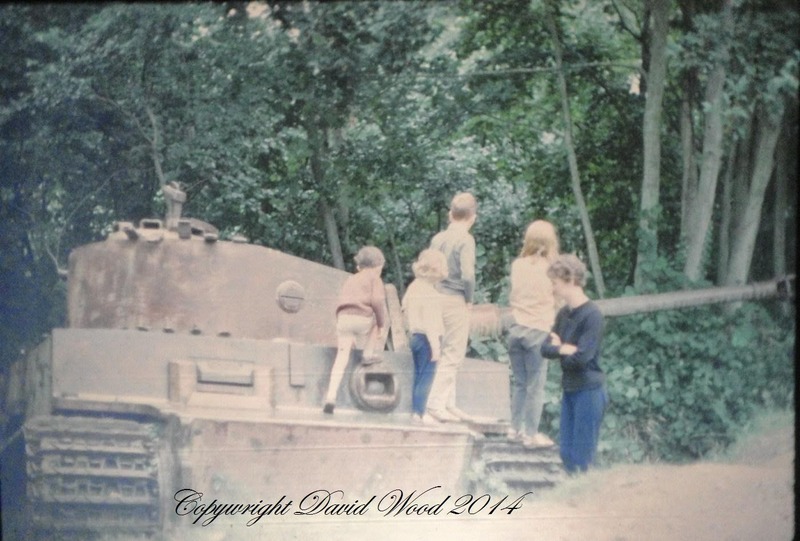 Lo and behold at the side of the road in a small wooded area was a knocked out Tiger I......I have another slide somewhere and will post it if I can ever find it. That will be a side shot so there may be marking on it to help identification...or not. I picked it up to get it printed off some years back and it is somewhere in my hobby collection.....this slide I found whilst watching family pics with my munchkins and my mum over the weekend. It is me at the front of the picture so I am guessing I am about 6 there...so around 1967. Goodness me, now there's something you don't see everyday! Thanks. The slides at my mother's were so disorganised I didn't even think to check!